I was reading about a place called Göbekli Tepe today. This is a place in southeastern Turkey. It is the site of an archeological excavation; they are exploring the ruins of an old temple. The ruins of a really old temple. Really, really, really old. How old? Well… when the first Egyptian pyramid was still on the drawing board, Göbekli Tepe was already some 6,000 years of age. Indeed, when Göbekli Tepe was built, the place where I now live, Ottawa, was still covered by the Champlain Sea. 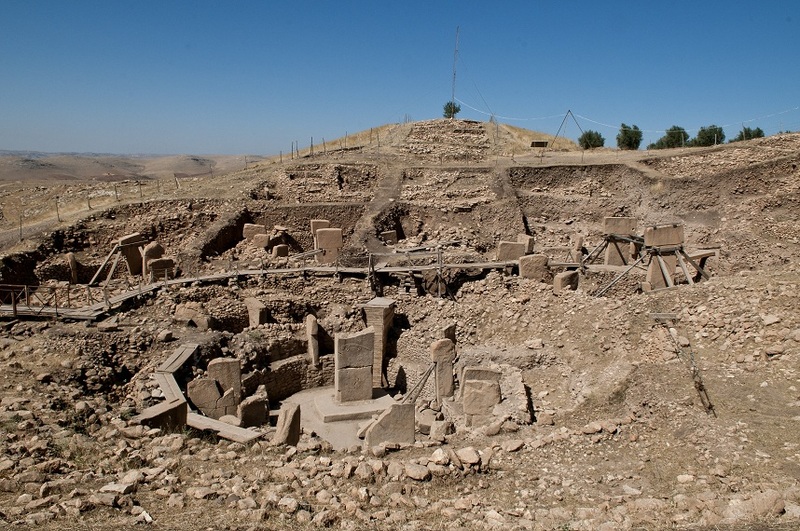 The oldest ruins at Göbekli Tepe are 11,500 years old, take or leave a few centuries. That is an astonishing age for a major stone structure like this. Wikipedia tells me that it was built by hunter-gatherers, but I have a hard time accepting that hypothesis: Stone construction on this scale requires highly specialized skills not to mention the organization of the necessary labor force. Maybe I lack imagination but I just can’t see how hunter-gatherer tribes, even if they have permanent village settlements, would be able to accomplish something on this scale. But if it wasn’t hunter-gatherers, who were they? What kind of civilization existed in that part of the world 11,500 years ago that we know nothing about?